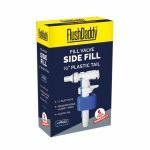 FlushDaddy Concealed Cistern from Mark Vittow. 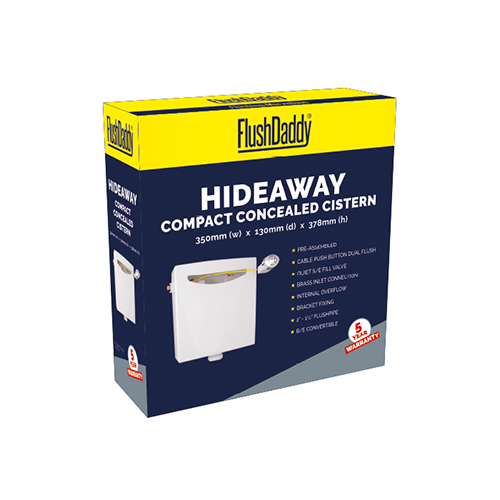 FlushDaddy Hideaway Concealed Cistern supplied pre-assembled complete with 2” Dual Flush Valve with cable operated Chrome Push Button, 1/2” side entry Fill Valve with brass inlet tail. 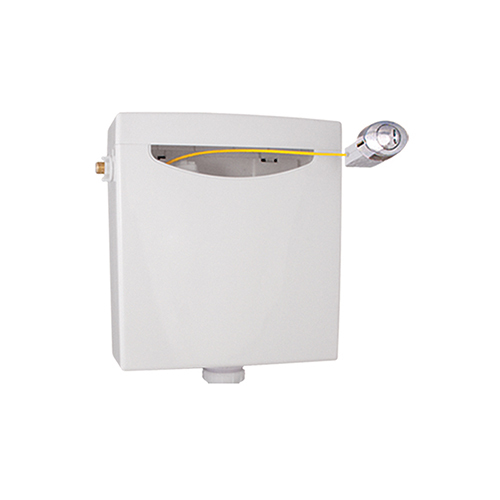 SKU: CIST12. 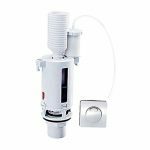 Categories: Cistern & Spares, Cisterns, Concealed Cisterns, FlushDaddy.